​Arden Key was ​the Oakland Raiders third round pick in this year's draft. The rookie defensive end out of LSU just turned 22 in May, but by the looks of his moves in practice, he has the intelligence and the technique of a seasoned veteran. Key pulled off a beautiful combination of moves on​ fellow rookie and third round draft pick, Brandon Parker. Parker, an offensive tackle from North Carolina A&T, is only 22 and obviously has room to improve. And Key made that very apparent. Parker's 6-8, 315 pound frame was no match against the 6-5, 245 pound Key and his quick feet. Size doesn't mean a thing when you can just blow by a guy like that. One-on-one pass rush drill. Rookie on rookie. DE Arden Key vs. OT Brandon Parker. Key with inside spin move. Parker resembled a soccer goalie on a PK, barely moving as Key moved past. Parker bounced back on Key’s next rep.
With a quick stutter step to confuse Parker about where Key was headed followed up by a quick spin to the inside, the young defensive end made his rookie counterpart look like his brain just froze in the middle of a play. 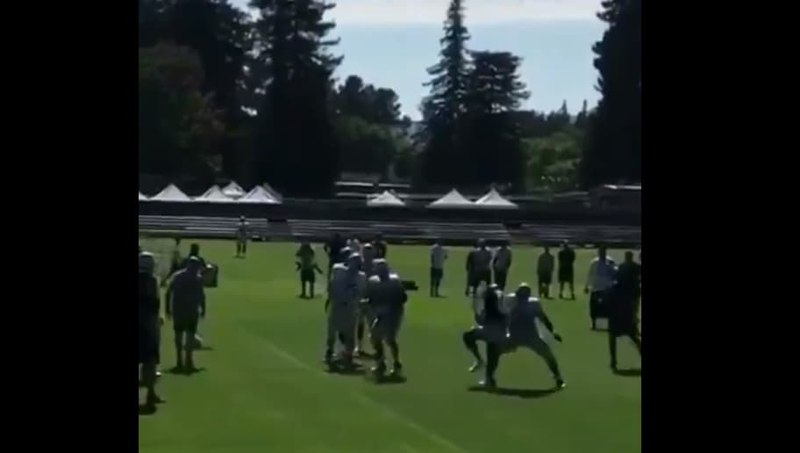 The funniest part of the video is that this was obviously one-on-one drills, and Key's teammates went crazy after he pulled off the move. Despite the fact that Parker had nobody else to even think about, he still just couldn't stay in front of his man. That is a clean defeat. Lots of Bruce Irvin talk to start camp, and it‘s warranted. He’s taking leading role performance-wise without Khalil Mack, mentoring rookie DE with rocky past Arden Key on/off field and grooming rookie LT Kolton Miller to be potential starter. There’s a reason Irvin is a captain. If Key can pull off moves like this in the regular season, he will have one heck of a rookie year for ​Oakland.